The most common answer is presence: VR has the promise of making you feel present in another place, another time, or to have a perspective that you couldn’t have otherwise. This is perhaps why so many of the best VR experiences thus far have been documentary in nature, and why companies interested in telepresence, like Facebook, have invested in it so heavily. If presence is the defining attribute of VR as a medium, then the key to shaping meaningful, impactful VR experiences will be found in shaping presence. Manipulating presence is a wholly new creative challenge. There’s no prior art or technology that is quite analogous. When making VR, we can certainly build upon knowledge of how cinema successfully manipulates time, architecture manipulates space, theater manipulates performance and so on. But the language of shaping presence, and its attendant creative potential, is a new frontier. Consider what it means to “be present” in our lived existence: It means to be focused, thoughtful, empathetic and aware of one’s self and surroundings. If this type of experience is VR’s defining attribute, think of it in contrast to every other medium: None demands so much of its audience. There’s no channel-surfing in VR. Falling asleep in it is hard to imagine. In contrast to the way in which we flit through social posts, websites and apps in our always-on mobile existence — often twitchy and unfocused — to use VR is to engage mindfully in an experience. The result is that VR experiences, even unsuccessful ones, are almost never unmemorable. VR has the potential to become our most mindful medium, an antidote to the continuous, noisy invasion of our lives that so much digital media, at its worst, can be. There are massive, thrilling creative challenges ahead to discover and realize the full creative potential of VR. What does it mean to have the viewer operate the camera? How do the familiar building blocks of cinematic visual language — the close-up, the cut, the traveling shot — translate into this new environment? How can performances be blocked and staged for best effect? How can interactivity be meaningfully added in a way that audiences can readily understand and use? How does storytelling work in a medium where the audience has agency? Likewise, there are significant practical concerns. 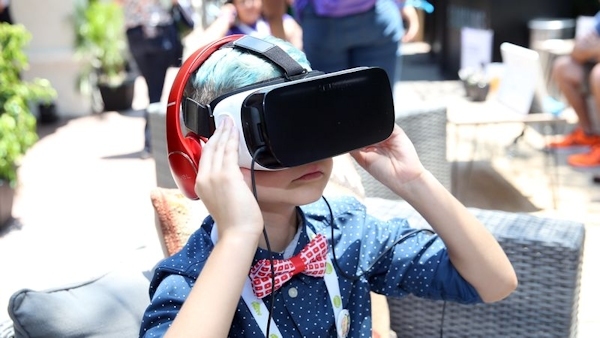 Google, Facebook, Samsung and others are investing heavily in building development tools, distribution platforms and the overall technology infrastructure of VR — but navigating this evolving environment requires content creators to thoughtfully consider not just what goes on inside their VR experiences, but how people discover and access those experiences. Whether it’s worth it depends on your faith in technology to be a positive force in our lives. VR — like the web, TV, cinema, radio and recorded music before it — is simply another technology, with no greater or lesser inherent virtue or vice. What VR can accomplish, like all mediums before it, will be based on two things: The curious creativity of the people making work for it and their optimistic passion for exploring what it can do that has never been done before.